The Kearney School District superintendent said threats a student made at the middle school were not credible. Dr. Bill Nicely said as is district protocol, his office did not notify parents of the investigation because it was found to be non-credible. KEARNEY, Mo. 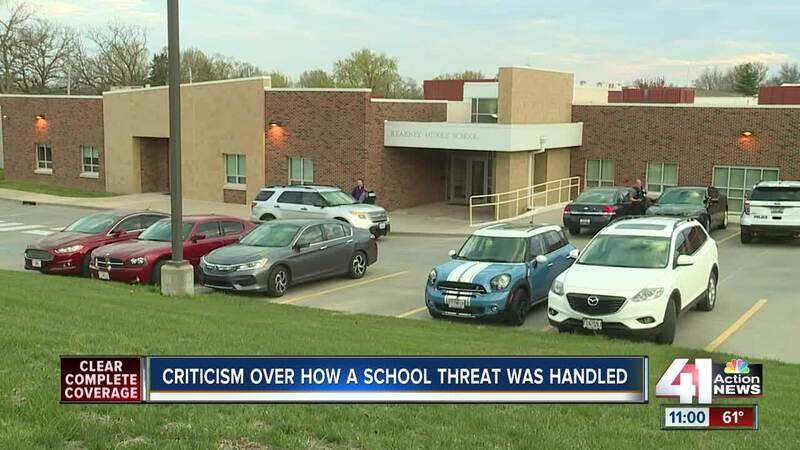 — The Kearney School District superintendent said threats a student made at the middle school were not credible. Dr. Bill Nicely said as is district protocol, his office did not notify parents of the investigation because it was found to be non-credible. Friday, parents at Kearney Middle School learned police were investigating a threat to the school from a Facebook post the police department made. A separate social media post said a student at the school for 6th and 7th graders created a hit or kill list. Nicely said no list existed. “There's been too many, too many tragedies. We don't need one here in our small town. We are a small, loving community. We try to stick together and that's what this is about: sticking together and letting us know what's going on,” said Katie O’Brien, a parent of a middle school student. Monday morning, someone placed colorful signs with encouraging messages for students to read as they entered the school building.